On Monday night in New Jersey Brent Seabrook became the third defenseman in Blackhawks history to register 100 regular season goals for Chicago. He ranks third on the career list in the Indian head sweater behind Doug Wilson (225) and Bob Murray (132). Duncan Keith ranks fourth with 93. Been a warrior his entire career. No Seabs no cups . 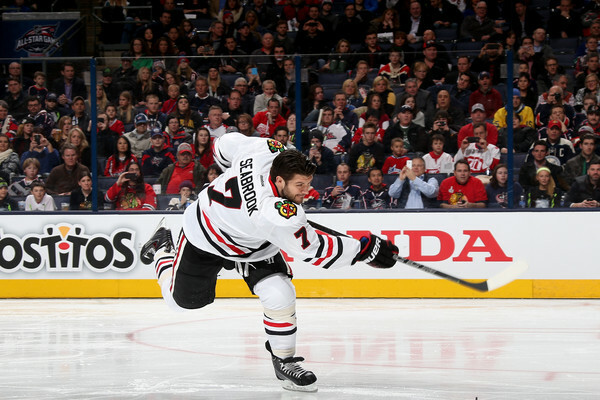 Seabrook top 5 defensman all time in Chicago History. Bummer of a year for the team. Hope he shows up as a solid Depth defenseman in twilight of his career….which per contract is several years from now. In his twilight for sure, but it is good to see some of the milestones he is hitting this year. Congratulations on another milestone, big part of making the cup runs a reality. Some big goals in that 100. None of them felt as good as the OT winner in Game 7 against Detroit in 2013. People forget, after winning in 2010, and bad showings getting bounced in the first round in 2011 and 2012, the Hawks led the league in points in 2013. Getting bounced by 7th place Detroit might have triggered a Q firing and maybe we end up with one Cup instead of 3. 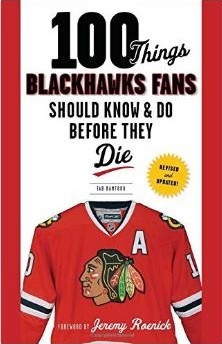 It was Seabs that told Toews in the penalty box to pull his head out of his *ss and scored the goal that sent Babcock and Detroit home for the summer after Hammer scored late in the 3rd to win it only to have the ref waive the goal off because Saad was being molested by a Detroit player near the bench and he called offsetting minors. He combined offense, size, and defense unlike any defenseman we ever had.